The Court of Appeal in Lagos has vacated the injunction restraining the extradition of the lawmaker representing Ogun East in the National Assembly, Senator Buruji Kashamu. In two consolidated judgments on Friday, the court set aside the judgment delivered by Justice Okon Abang of the Federal High Court on May 25, 2015, which perpetually restrained the National Drug Law Enforcement Agency (NAFDAC) and other agencies of the Federal Government from arresting, restraining, and detaining or otherwise, effecting the abduction of the lawmaker upon the charges based on allegations of drug trafficking levelled against him by the United States government. 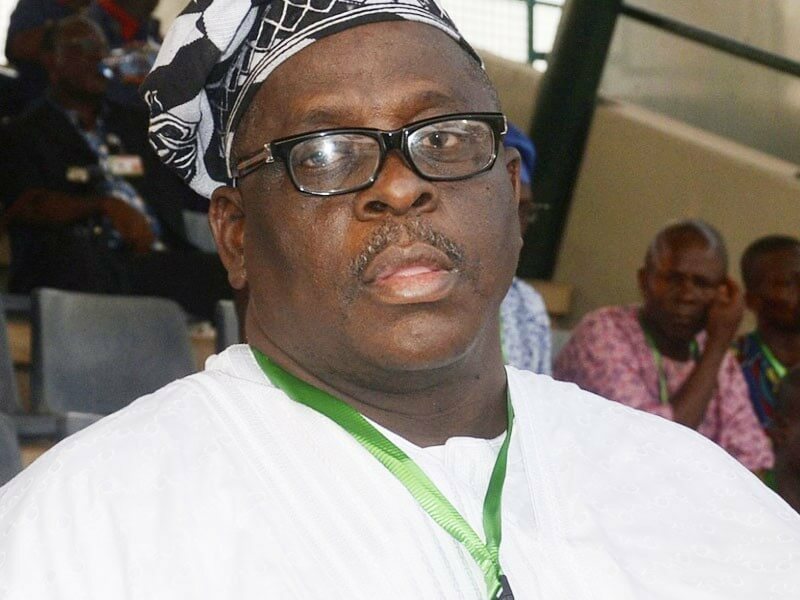 The appellate court also set aside the order of Justice Abang which nullified the warrant for the arrest of Senator Kashamu issued by another judge of Federal High Court, to pave way for the commencement of extradition proceedings against the senator at the Federal High Court, Abuja. In unanimous verdicts delivered by Justice Yagarta Nimpar to which the other justices in the panel of three, Justices Joseph Ikyegh and Anthony Ogakwu, concurred, the court upheld the argument of counsel to the Attorney-General of the Federation, Emeka Ngige, that Justice Abang was in error in granting some of the injunctive reliefs sought by Kashamu upon inadmissible evidence. The court held that the trial judge, having struck out several paragraphs in the affidavit relating to allegations that former President Olusegun Obasanjo was behind the travails of the lawmaker and the alleged plans to forcibly abduct him to the United States to face drug charges, the same court was wrong to have retained other paragraphs of the same affidavit containing hearsay allegations against Mr Dapo Abiodun and Mr Godwin Obla. The appellate court observed that Justice Abang relied heavily on speculations and conjectures which were not permitted in law, in arriving at his judgment. It further upbraided Justice Abang for not giving the counsel from the Attorney-General’s chambers the opportunity to file a counter affidavit in opposition to the case file presented by Kashamu, when under the rules, they still had three days to react to the processes, stating that this infraction nullified the entire proceedings. In conclusion, the court allowed the appeals, set aside the judgment and ruling delivered by Justice Abang on May 27 and June 8, 2015 respectively. It also set aside the consequential order by Justice Abang in which he nullified the warrant of arrest issued by Justice Saidu of Federal High Court Lagos for the arrest and commencement of extradition proceedings against Senator Kashamu at the Federal High Court Abuja. Senator Kashamu was represented on the appeal by three Senior Advocates of Nigeria – Lateef Fagbemi, Akin Olujinmi and Hakeem Afolabi. Meanwhile, the senator has denied any extradition case against him in any court in the country or abroad. In a statement personally signed by him, the lawmaker noted that the appeal had nothing to do with extradition but was about the purported failed abduction in 2015. He said, “The illegal move surreptitiously introduced by the powers-that-be after the 2015 abduction plot was exposed has been dismissed. That was in Suit No. FHC/ABJ/CS/479/2015. The suit was dismissed on the 1st of July 2015, for being an abuse of court process. “In its judgment in Suit No: FHC/L/CS/508/2015, the Federal High Court restrained the Federal Government, its agents and agencies from abducting and forcibly transporting me to the United States of America over the same allegations that two British courts had adjudicated upon and found that to be a case of mistaken identity. So, clearly what was appealed and decided upon by the Court of Appeal today has nothing to do with extradition. Rather, it was about the failed 2015 abduction,” Kashamu added.